If you are planning to shop online (and in stores of course) this weekend, please check out the following roundup of deals. I’ve spend the last week putting this list together for you, I hope it helps! There is something for everything you are looking for in your holiday shopping! I’ve included some easily clickable banners at the top, but scroll down for details on tons of store offerings for Black Friday through Cyber Monday deals. Some of these deals are actually live already so take a look below! AJ MADISON: Save Up to 40% with the Black Friday Sale at AJ Madison! AMAZON: Black Friday Deals Week has begun! Skip the lines and shop Black Friday deals from anywhere, even your couch. We have hundreds of limited-time Lightning Deals for you to choose from, exciting Deals of the Day, and savings on your favorite electronics, toys, jewelry and more. These limited-supply deals will go quickly, but we’ll add new deals as often as every 5 minutes so you can be sure to find a great deal! BARNES & NOBLE: Special Offer: Take an Additional 30% Off Any Item With Code 30BFRIDAY! BEST BUY: Shop Week Long Black Friday Deals and Save on TVs, Laptops, Cell Phones and More. Preview Black Friday Deals here. BEAU-COUP: Black Friday: 15% off $50+ at the Beau-coup party supplies, gifts & decor store. 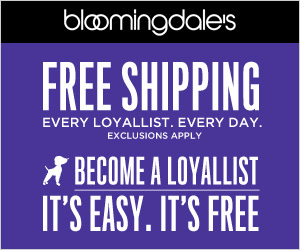 BLOOMINGDALES: Cyber Monday deals start Sunday! Take 25% off select regular and sale priced items. BROOKSTONE: Black Friday has arrived early at Brookstone! Save 15% on $49, 20% on $99 or 25% on $149+ with code AFBLACK at checkout. Valid online only, starting at 5pm EST 11/24-11/29. Shop now at Brookstone.com. BUY.COM (Rakuten.com): Black Friday Sale! Sneak Peek Our Black Friday Doorbuster Deals! Also, 15% Back on Toys with Promo Code: YAY15. Valid through 11/30/15! CLAIRE’S: Sitewide $3, $5 and $10 – Online Only. Shop Now and Save Big. Limited Time Offer. DAYSPRING: 30% off site-wide (no exceptions) – use code 30FRIDAY15 at checkout. FOOD NETWORK STORE: Black Friday Week Sale! Save up to 75% on your favorite brands at the Food Network Store now! GAMEFLY: Save up to 50% + Free Shipping on all titles at Gamefly through 11/30! 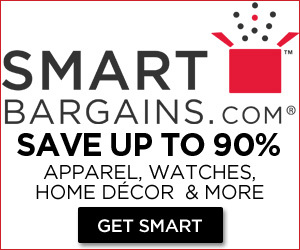 GET ORGANIZED: For a limited time only, save up to 90% on Clearance Items at ShopGetOrganized.com! No codes required. 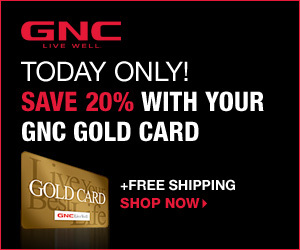 GNC: Save 20% with your GNC Gold Card. HAT WORLD / LIDS: During the Black Friday sale at Lids.com, customers can save 35% and receive FREE shipping on orders over $24 using the code BF35! Please note that this offer is valid Wednesday through Friday this week, 11/25-11/27; Some exclusions apply. 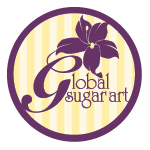 IT’S SUGAR: BLACK FRIDAY SALE – 20% OFF all orders with code THANKS20 at ITSUGAR.com. Valid through November 29th. JOS. A BANK: Black Friday Doorbusters! $149- All Executive and Joseph Sportcoats and Blazers! 2 for $49 All Executive Dress Shirts and Ties! Free Shipping No Minimum! Shop Now-TODAY Only! Please note I did a full blog post on the Kohl’s Offerings HERE. LIFE IS GOOD: Take $10 off Hoodies, Sweatshirts, Sweatpants and Fleece! Free Shipping on Orders of $49 or More. Offer ends 11.28. Excludes solid crew necks. LORD & TAYLOR: Black Friday Sale: 20% Off, 25% Off Sale Fine Jewelry! Shop Now For Holiday Savings At Lord & Taylor! MACY’S: Black Friday Web Busters Live Now! 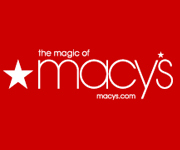 Shop at macys.com and get free shipping at $50. Valid 11/25-11/28. Also, an extra 20% off Black Friday Sale + Free Shipping at $50 with code THANKS at macys.com. Valid 11/25-11/28. How about these Black Friday Web Busters? MELISSA & DOUG: BLACK FRIDAY SALE – Save 10% Off On Orders $25-$49, Save 20% Off On Orders – $50 – $99! Save 30% Off On Orders Over $100! Use Code: HOLIDAY2015 At MelissaAndDoug.com! CYBER MONDAY ONE DAY ONLY SALE – One Day Only! Buy One – Get One 50% Off Sitewide Use Code: TGBOGO At MelissaAndDoug.com! MICROSOFT: Shop Microsoft Black Friday deals and get free shipping and free returns! MY PUBLISHER: Get 5 FREE Mini photo books from MyPublisher! AND SHIPPING IS FREE TOO! Offer Valid until 12/12. NEW BALANCE: Black Friday Sale! Save 15% Off All Orders + Free Shipping Site Wide with no minimum (discount automatically applied at checkout) exclusively at New Balance! Offer valid 11/26-11/29. NORDSTROM: See the deals here. OLD TIME CANDY: CYBER WEEK SALE FROM OLD TIME CANDY! Save 25% Site Wide! & Take Advantage Of Flat Rate Shipping For $9.95 in the Continental U.S.! Use Code: BF2015 At Checkout! OMAHA STEAKS: See the deals here. PAYLESS: Shop Payless this Cyber Monday and get up to 30% off with code ZZCyber! Free shipping on orders of $25 or more. Offer valid starting at 6 p.m. on 11/29 – 12/1. PC RICHARD: Don’t wait until Black Friday…Get these Black Friday deals at PC Richard now, guaranteed! PETSMART: 1 Day Only Black Friday Early Online Save up to 50% on hot deals + FREE Shipping, no minimum. Offer valid 11/26/15 only (exclusions apply). Cyber Weekend – Online Only! Save up to 40% on thousands of items at PetSmart.com! Offer valid 11/28 – 11/29 only. PIMSLEUR: Cyber Week & Cyber Monday Savings! Save up to 50% Off + Free Shipping Sitewide at Pimsleur! Code BF2015. Ends 11/30/15. Shop now! SAM’S CLUB: Shocking Values – Daily deals and online exclusives at Sam’s Club – Check back every day! . See the Black Friday Deals here. SAKS OFF FIFTH AVENUE: Black Friday! 4 DAYS ONLY Lowest Prices Of The Year UP TO 70% OFF all of the brands you love. SHOP NOW. Valid 11/25 – 11/28. SHOES.COM: Extra 30% off sale items. Use code BLACK. SIERRA TRADING POST: Black Friday Savings: Take an Extra 25% off $100 + 50% off Shipping with code ABLACKFRIDAY5. Valid November 27, 2015. SPENCER GIFTS: Black Friday Weekend Savings! Buy One Get One for $1 on Coffee Mugs! Lava Lamps & Watershow Speakers starting at $19.99! Buy One Get One Free Jewelry! Enjoy Free Shipping orders $30+ at Spencer Gifts! Shop novelty gifts & more! Buy One Get One 50% Off Mix & Match: Hat, Tees, Baby, Belts & Buckles! Ends 11/29/15. Shop Spencer Gifts! STAPLES: Black Friday Blowout. Save All Week at Staples.com! STARBUCKS STORE: Gift of the Week 3: Save 20% off Starbucks Festive Collection! Valid 11/23 – 11/29 only! STEP 2: SAVE BIG ON BLACK FRIDAY DEALS! Save on over 30+ top selling and highest rated products from Step2.com. Apply coupon codes at checkout. SWIMSUITS FOR ALL: Pre-Black Friday Sale! Get 35% off Sitewide plus 40% off Splash Styles at SwimsuitsForAll.com! Valid through 11/28 – Shop now and save! SWOOZIES: Cyber Monday – 20% off & free shipping. Click here to find out more. TARGET: Awesome deals going on now! View our 2015 Black Friday Ad Leak now! TORRID: Thanksgiving Weekend Sale – Get 35% Off Site + Free Shipping Over $25 w/code 35THANKS at Torrid.com! UMI CHILDREN’S SHOES: Black Friday Sale! Get 25% Off Sitewide with code LNKTG15. Valid 11/26-11/27. WALMART: Black Friday Means Walmart’s Hottest Deals of the Year! And Cyber Monday Means Amazing Prices on the Hottest Gifts at Walmart.com! WILLYGOAT Play Equipment: Great deals on Wooden Swing Sets, Children’s Ride On Vehicles and Trampolines – Up to $100 off!